Microsoft’s Halo series is easily one of the world’s most popular first person shooters that originally began on the XBox and finally concluded on the XBox 360 with not only a spectacular gaming experience but a storyline to match. Strangely enough, who would have thought that Halo would spawn a real-time strategy (RTS) from the makers of one of the world’s most memorable games, Age of Empires II. Ironically, Halo Wars is also the swan song for Ensemble Studios and best of all, the developers have ensured users of the XBox 360 have a flawless RTS experience. New take on a legendary world. Set in the iconic “Halo” universe, “Halo Wars” predates the original first-person shooter “Halo.” Fans of the franchise will have the opportunity to experience the early battles between the UNSC and Covenant, the far-reaching conflict that has been diligently followed by the masses in the blockbuster “Halo” series. Players join the crew onboard the “Spirit of Fire,” a Phoenix-class colony ship converted for UNSC military use and guided by the AI persona Serina. 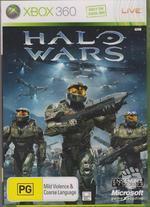 The “Halo Wars” story line follows the Spirit of Fire’s discovery of an ancient artifact during a journey to the planet Harvest, the first planet to be attacked by the Covenant. Strategic command of armies in large-scale combat. “Halo Wars” puts gamers in command of the battlefield over an arsenal of UNSC units and vehicles as they engage Covenant forces. They can counter and crush their opponent by tactically fielding the superior army. Players can also choose among Leaders that possess elite skills which can turn the tides of battle. Using various combinations of Leaders and units, players can create countless strategies tailored to their preferred playing styles and personalized strategies. Challenge friends to skirmishes using the New Xbox Experience. See who the superior commander is through multiplayer online skirmishes supporting up to 6 players with the New Xbox Experience. Players can choose to command either unique civilization, UNSC or Covenant, each with unique attributes and strategic characteristics. Ancient Forerunner technology can also be found to create unique units to gain an upper hand in battle. Groundbreaking strategy game for the Xbox 360. Since inception, “Halo Wars” was explicitly designed to cater to console gamers and bring to the Xbox 360 a genre that has typically been played on the PC. Gamers can easily command and manage powerful armies, effortlessly control troops and incredible machines, engage in epic battles and expand their empire using an intuitive user interface for the Xbox 360. “Halo Wars” represents the true next-generation experience, combining a masterful control scheme using the Xbox 360 controller with the award-winning strategic gameplay only Ensemble Studios can provide. 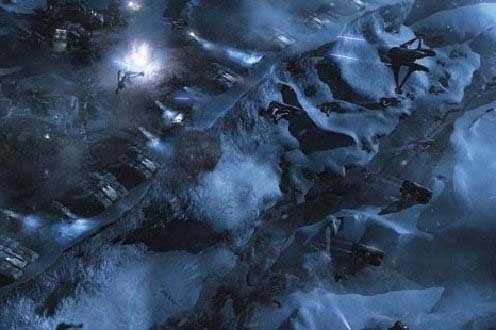 Without spoiling the story behind Halo Wars, it takes place 20 years before the original Halo game and gamers control the crew of the UNSC Spirit of Fire that has been sent to investigate a Covenant threat. What really sets this game apart from other RTS titles is the amazing pre-rendered cutscenes that look quite stunning and really assist in immersing you into this amazing storyline. For those unfamiliar with RTS games, Halo Wars is a top view strategy game that has the player creating buildings and units to protect their base and also engage and hopefully defeat the enemy. The best part of Halo Wars is the attention to detail, more specifically the plethora of references made to the Halo series that both fan boys and girls will simply adore. The game has a micromanagement aspect to the title in relation to creating and upgrading units which is ideal for the console the world. That is, it is not too complicated. 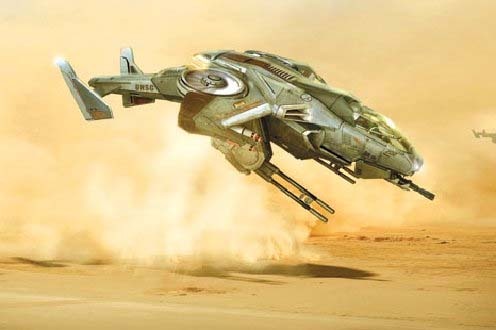 The game features your traditional RTS gameplay modes that include a story driven campaign mode with 14 missions that can also be completed cooperatively (ala Halo). It’s thoroughly entertaining seeing all the Halo references and characters in the game from controlling your Marines or the various vehicles that have appeared in the first person shooter games. Each of the various factions that you play handle differently which allows for some great replayability. 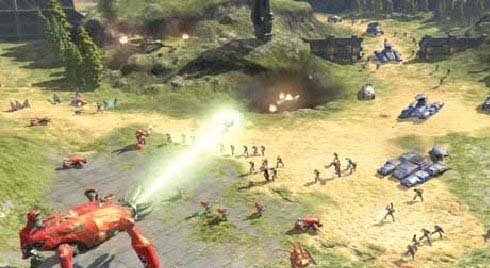 Although Halo Wars could be considered an RTS-lite game as Ensemble have ensured to use the console to its full advantage without the title becoming a confusing PC port (Red Alert 3). For example, the mouse is the primary device to control your units on the PC which allows for some quite in-depth controls, however with the XBox 360 controller, although it could mimic the PC with it’s mouse, the game would just become a frustrating experience. This works quite well on the 360 such as using the A button to select one unit, double AA to select multiple units or the right shoulder button for all units. The D-pad of the controller allows you to access the menu system of Halo Wars such as accessing alerts or bases, whereas the X button is used to target a location or enemy and the Y button to active a units special ability. Although the control system is rather a steep learning curve, it allows the player to immediately get into the gaming from the get go and as you progress so do your skills and your mastery of the control system. Needless to say, Ensemble have brilliant mapped the control system of this RTS game well, without the controls becoming too convoluted or difficult. Graphically, Halo Wars looks quite spectacular in high definition with an impressive 3D created gaming environment and of course, the variety of Halo inspired references. The characters are well modeled as are the special effects in the game that are complimented by the amazing prerendered cutscenes that go hand in hand with the gameplay. The music of the game is inspired by the original games that includes some great voice acting and a plethora of realistic sound effects. In conclusion, Halo Wars is a very impressive and sturdy RTS game on the XBox 360 and my only complaint being is handling your units during the last missions which does become sometimes tedious as you are trying to select the correct units and you end up selecting the incorrect ones. Needless to say, Ensemble have created a truly entertaining game with great maps, missions and hopefully in the future some downloadable content. Definitely a game for Halo fans who are interested in RTS.